goodness me! That's one rahi I'd never wanna run into. From what I can see, he looks alright. 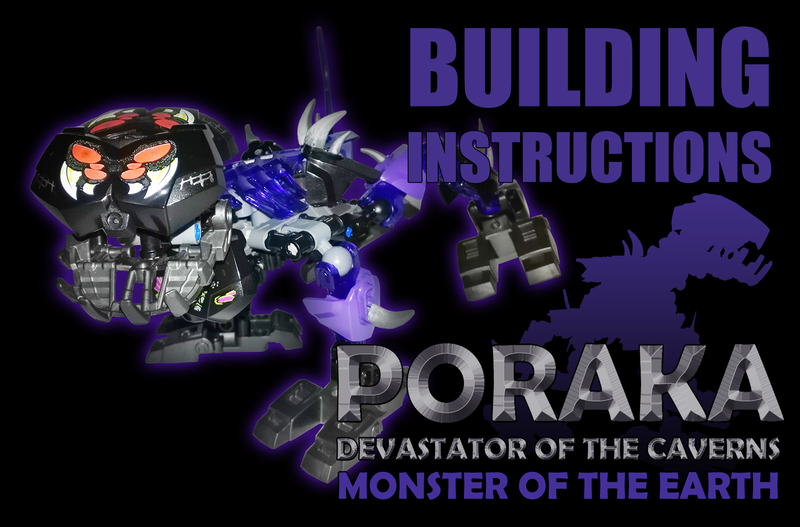 The initial promotional image really does not work for the model but after looking at what we can see from the instructions. He is better than the first impression. By far the biggest drawback is the LoSS face. I know that you can't make your own face print but I think using a different piece that that chest piece would still have worked batter, it gives the head a very awkward shape. Other than that the next biggest complaint is just he way the back legs are positioned which looks somewhat awkward. After that are just minor nit-picks. The function and custom build are cool and well done. And the color-scheme really looks nice on this one. I'm going to say, while the rest is pretty good, and better than anything I could do, I'm not a fan of how the head looks in general. I understand the limits there, but it still bothers me a little. I really love how the sets look. Props to you guys for coming up with these creative functions as well as designs! @ThatchMac @Asriel @BlackBeltGamer98 @Altair @Kojo @Winterstorm345 @Azani @jayzor17 @Zero @Novashii @Doot.r @TheTDChronicler Cheers for the great feedback guys. Glad you like the sets so far on the whole. Please give us all your thoughts, the good, the bad and the very bad so that we can improve in the future. Only two more sets to go! Oh man I love this thing! If this was a set I'd buy it in an instant. Time to build it! I work on this project. Oh, duh. This makes so much more sense now. I had no idea. It was a fish of some sort, but I couldn't figure out why it seemed to have two tails. At first I didn't really like him. But after seeing exactly how that function works, he's really grown on me. I like the idea of an angler fish creature, but I feel the "angle tail" isn't well integrated. He shoots straight out of the torso at a 90 degree angle and does not flow well. That and the exposed Technic really tear down the way the figure looks. But the function itself is pretty spectacular. I feel the head of this creature works better than a lot of the others and the function just heightens that. Gosh this set looks great! Can you tell me more about that mask? I really like it! I can vaguely see an upside down skull spider mask in top.....? How did you craft it? Is it a 3D model? Sorry if I'm flooding you with questions but that mask to me looks ridiculously cool.